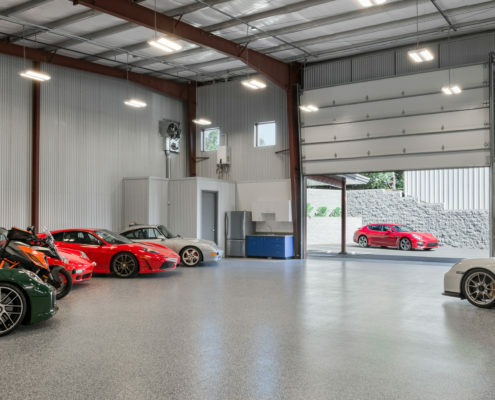 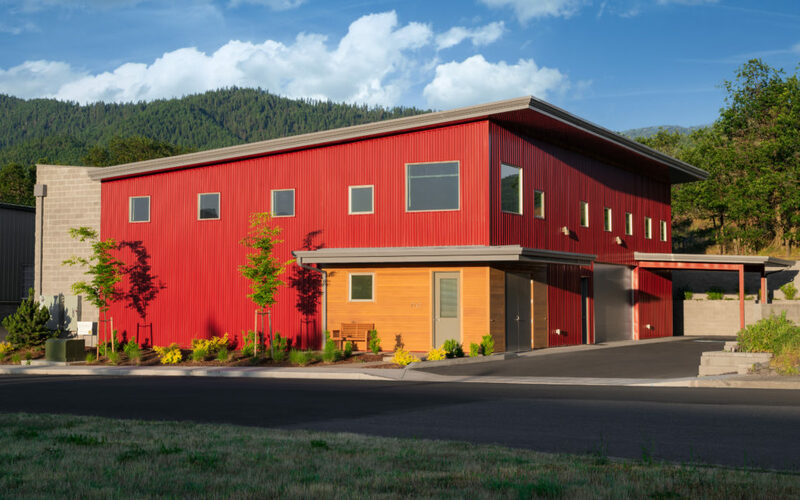 A past client requested us to design his industrial building to reflect design aesthetics of his home. 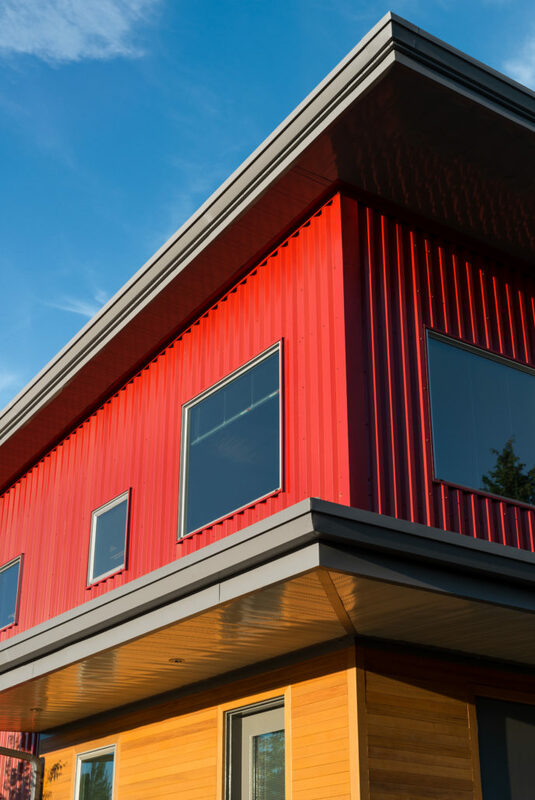 This is our first all metal structure and we found it interesting to research the metal building industry and construction methods, and delightful to work with this material. 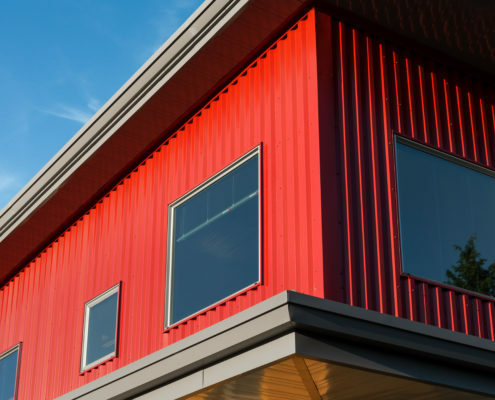 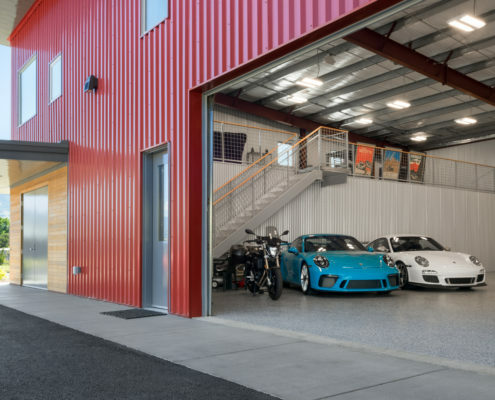 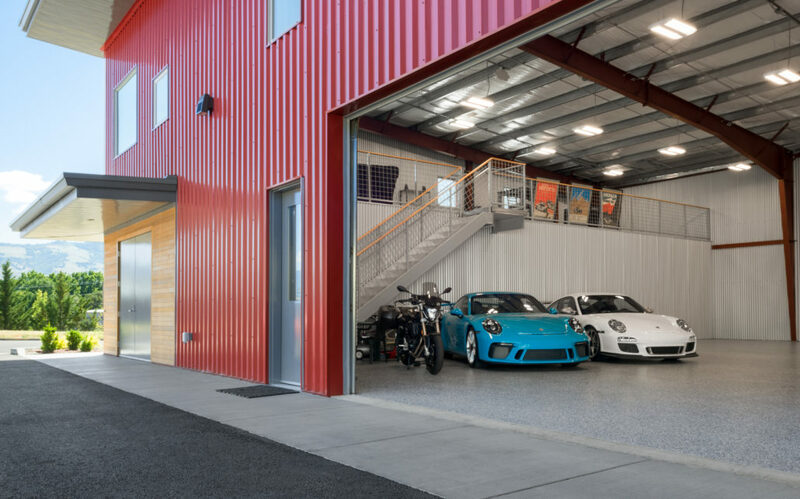 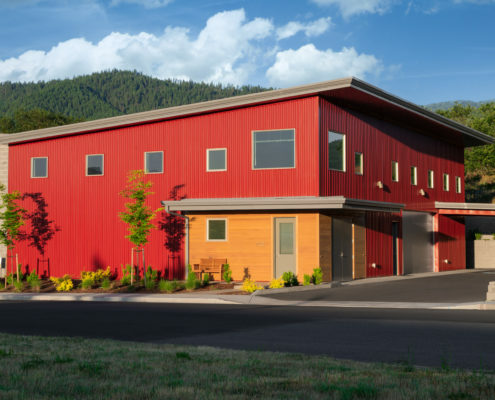 We were able to add interest to this commercial building by bringing in textural elements with the use of deep rib metal siding and concrete block, as well as flat arbors and a carport. 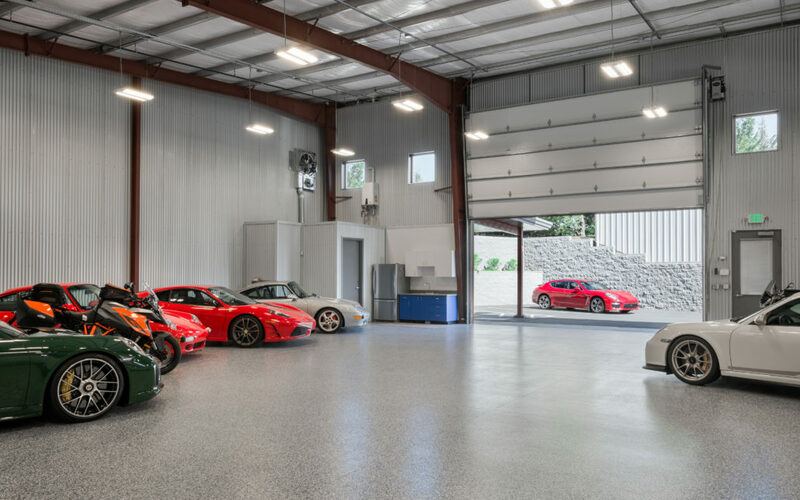 We designed a mezzanine that looks over the shop area and high clerestory windows on two sides to allow in natural light.